Get to know Rome culture! I don’t know any other place in the world where the artichoke is as revered as it is in Rome. Here it’s a genuine obsession, and a centenary tradition to cook the perfect artichoke or, as we say, “carciofo”! Until you’ve tried Rome’s two star artichoke dishes, you can’t truly say that you know and appreciate roman cooking. 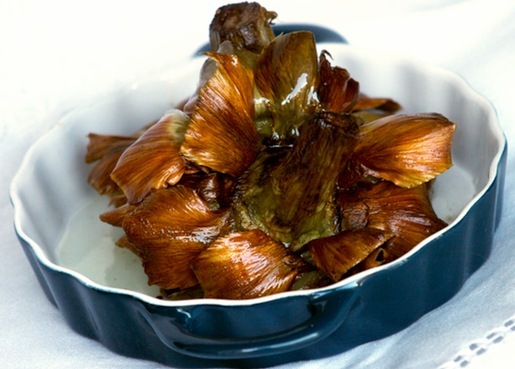 I’m talking about “Carciofi alla Romana” and “Carciofi alla Giudia”. 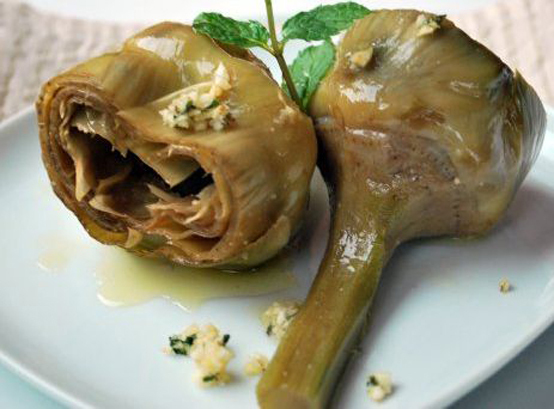 These dishes are made with a special type of artichoke called the “Mammola” which is a typical crop grown in the countryside outside Rome and in the region of Lazio. The special traits of this artichoke is that not only is it is very big and round, it is also remarkably soft, because it has no spines on the leaves and practically none of that fuzzy hair normal artichokes have on their insides. So let’s face it, it’s basically delicatessen before you even put your hands on it to cook it! So maybe now understand why we get so excited about it. The “Carciofo alla Giuda” is a typical plate of Jewish-Roman cuisine, and the recipe is over 500 years old. Preparing it is an art that very few people truly master, as you must know how to clean the artichoke in a special way before delicately frying it whole in olive oil so that each and every one of its leaves is both crunchy and tender and the result is like an eccentric and delicious flower. The “Carciofo alla Romana” is another star of typical roman cuisine, and it’s recipe dates back to the 1800s. It’s a mammella artichoke filled with mint, parsley, garlic, salt and pepper which is slowly stewed in olive oil for about 30 minutes until it becomes so soft it literally melts in your mouth! One of the best parts of traveling is trying the local food! TourCrafters has many travel packages created for just that. Eating!